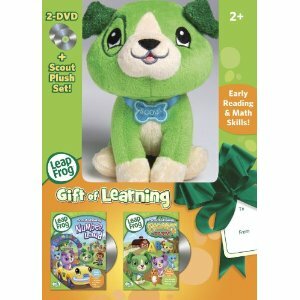 Numberland- Join Scout and his friends for exciting learning adventures from the world of LeapFrog. When the pets long to learn about numbers, their magical car, Axle, whisks them away to Numberland. 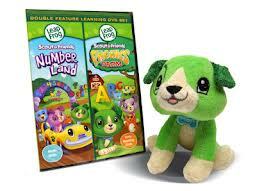 With the help of a new friend, Max, the pets meet all the numbers in the land and master early numeracy skills. Then it s time to help the residents of Numberland plan a surprise birthday party for Max. 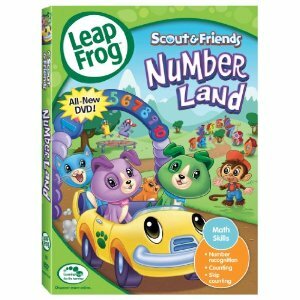 It all adds up to plenty of fun and adventure as you sing and count your way through Numberland with Scout & Friends! 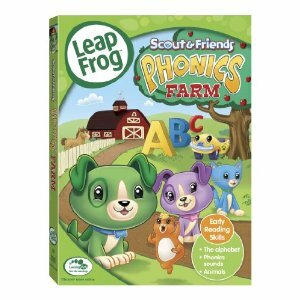 Phonics Farm- Join Scout and his friends as they learn letter sounds with the help of some amazing animals! Scout, Violet, Eli and Penny long to learn about new animals. When their magical toy car, Axle, whisks them away to a farm, they discover a remarkable alphabet collection and ABC antics ensue! As the friends get in shape with an athletic alligator, console a sad seal, converse with a high-pitched horse and more, they make their way through the entire alphabet!